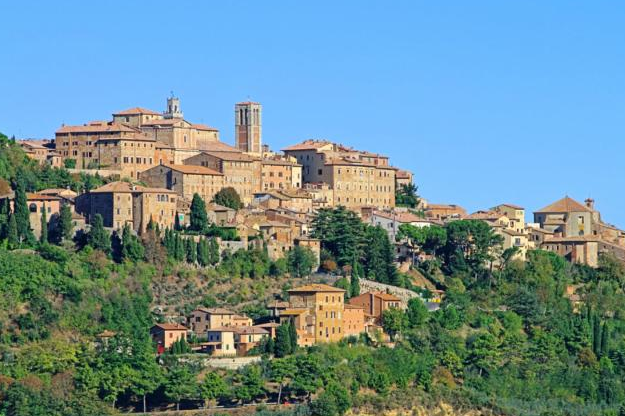 Come experience the quaint mountainside village of Cortona and treat yourself to a 10-day Vacation “Under the Tuscan Sun” while your actor participates in the Film Acting Intensive. Join your actor as they work with CSA, Ken Feinberg, Giacomo Arrigoni & Craig Tollis for a one-of-a-kind experience in the scenic beauty of Tuscany. Every companion will travel to and experience the quaint village in Tuscany known as Cortona. 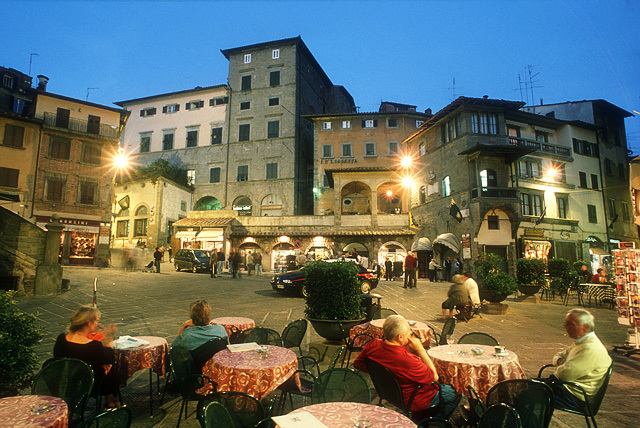 Cortona is the place where Frances Mayes penned the best seller “Under the Tuscan Sun,” that was made into a hit film and shot in our destination city. Companions accompany their actor on a work-study-vacation acting journey. While actors are receiving training from ATL local Director-Producer & renowned Acting Mentor Ken Feinberg and then acting in one (or more) short film(s) under the artistic vision of award winning Italian Director Giacomo Arrigoni; the companion will have the opportunity to go on excursions, relax, wander, read, eat, or do whatever strikes their fancy. The actor and companion will have the opportunity to see the actor’s work on the big screen at historic Teatro Signorelli after 4-Time Emmy Winning Editor Craig Tollis puts the finishing touches on each project. *All participants younger than 18 must be accompanied by an adult legal guardian/companion. *This program is limited to 15 participants. See your actor make a movie & gather a lifetime of memories in a unique Work-Study-Vacation adventure in beautiful Tuscany! *excursions are subject to change if local circumstances prove impossible. Space is limited, do not delay. Bring your family to Italy with you for a unique & memorable experience! A. No. All excursions will be conducted in English, and our guides on all excursions can also act as interpreters as needed. When not with the CSA group, the hotel staff & local Italians are friendly and will usually be able to help you with directions or whatever else you may need; using laughter & lots of mimicry. Be open to the next adventure that awaits you. A. If needed, you can make payments in 4 installments. If you pay when you register, you can elect to pay with a credit card via PayPal, with cash, with a check, or with a cashiers check. If you elect to make payments, you need to submit post-dated checks with your “Companion Enrollement & Travel Agreement” as outlined in the agreement. Q. I can’t find the “CompanionEnrollment & Travel Agreement” that I need to fill out & send in to complete my registration. How can I get one? Q. How many companions can one actor bring to the program who does not want to take the acting intensive? A. Non-participating companions are welcome to join their actor on this adventure and a minimum of 1 is required for participants who are younger than 18 years old. We don’t have a limit on the number of companions an actor can bring because we don’t know how big your immediate family is, and we want this to be an option for a family work-study-vacation. Q. Will my actor & I stay in the same room? A. All rooms are based upon double occupancy, so we will place Actor & their companion(s) in the same room. If your family needs a room that accomodates more than 2 people, please email accounting@csatl.com to get specific rates for your family. Q. Can my actor and I come earlier, or stay longer if we want to travel in Italy or Europe before or after the intensive? A. Yes. Since the flight is not included, you can do whatever you want. The program begins with our “Welcome Reception with Locals” on Sunday, June 21, 2015. You may arrive and/or leave on your own via bus, car, or train. (the train arrives/departs in Camucia, which is located at the base of the mountain). To/from the train station, you may take a taxi or bus. Q. Do we have to meet you at the airport in Florence, or can we meet you in Cortona? Likewise, do we have to go to Florence with the group after the retreat ends? A. You do not need to meet us at the airport, nor do you need to return to the Florence airport from Cortona; but there is only 1 group transportation provided, and that is to/from the airport. Any travel not desribed in the inclusions is not part of the cost of the program, and would be the participants responsibility. Q. Do I have to spend every moment with my actor? A. No. Class time & shoot times are your own to do with whatever you wish. If our actor is < 18 years old, we simply ask that you drop your actor off at all sessions and arrive to pick them up 15 minutes before the session is over. Q. Why are all breakfasts included, but lunches & dinners aren’t? Why didn’t you make it “All-Inclusive”? A. Like the rest of Tuscany, and Italy for that matter, the food is phenomenal and we feel that you should be able to experience multiple venues of your choice in addition to the food we provide to you. We also believe that you need time for yourself that is not group time; and these times are a wonderful opportunites to explore the area and do some personal refelction. In this way, you are free to choose when you eat, when you explore, and when you relax. The actors lunches are included becasue they are working lunches that will be eaten as a group.